Beyond Monopoly! – York's friendliest boardgame club! Hello and welcome to Beyond Monopoly! We are a boardgames club in York who meet regularly for fun boardgaming times. We play all modern boardgames- Euros, Social deducation, co-op, American; and if that means nothing to you, then come along and discover the exciting (genuinely) world of modern boardgames. We meet in the Bar Convent on the first and third Saturday of the month, from 10am until 9pm, and on the second and fourth Friday evening of the month, from 5pm until 9pm. If you can’t remember that then please sign up for regular reminders and updates! Absolutely everyone is welcome, and with our numbers attending you’re usually never waiting long for a game. First visit is free (wow!). Given we’re in the Bar Convent we do ask that people don’t bring in outside food and drink- instead drinks are provided, and the cafe does fantastic food (and we get 10% off). If you want regular email reminders of club meetings, put your email address in the subscription box on the right and click on Sign Me Up! You’ll get a confirmation email. Follow the instructions in that to confirm your sub. After that, you’ll get an email when we post an item on this blog. That includes the reminders which go on the blog. Hi everyone, just a quick note to let you BM! will be on from 5 tomorrow evening at the Bar Convent as usual. That said, as per Mark’s update last week the Convent is available on neither the Easter nor the following weekend. No word yet on whether we’ll have alternatives, but to avoid a possible gaming drought we recommend coming along tomorrow! Yet another fantastic Saturday Meeting this Saturday. Games + games = games! Also news regarding opening times in April. Hi folks it’s Mark here, to say it’s the first Saturday of April this Saturday and therefore we are meeting at the Bar Convent from 10am until 9pm for board games, card games, and maybe other games (flicking games? is that seperate to board games?). Give Quacks a go. Or other games (still space for one more in Patchistory- check the whatsapp group for more info- or join the whatsapp group if you haven’t yet!). This month because it’s Easter we won’t be able to meet at the Bar Convent as much as we’d like. No third Saturday here. We’re still discussing other plans (Travelling Man/Trafalgar Bay/panicking) but we’ll keep you updated as and when and where. That does mean that you should probably come this Saturday to get your gaming fix though. What else is happening? Well it’s the UKGE in a couple of months, I might be getting another trip together down there. More details perhaps to come soon possibly. I think that’s it, but if you want anything posted here let me know. Hi everyone, with apologies again for the late notice, BM! will be meeting tonight from 5-9 at the Bar Convent – we hope to see you there! Reminder! Meet is Saturday this week, not tonight! Quick update- Not meeting this Saturday! Friday instead! Then Next Saturday! Apologies for the late notice, especially after promoting ourselves so much, but we’ve had notice that we can’t actually meet at the Bar Convent this Saturday on the 16th, so we will be meeting there on the 23rd instead. 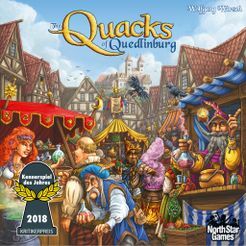 In the meantime we will have our regular Friday meeting (play Quacks even earlier!) this Friday on the 15th, from 5-9pm. Additionally a number of us are probably going to game elsewhere (venue TBD, probably either Travelling Man or the Trafalga Bay. For more info join our whatsapp group (email me and I’ll send you the link), or follow our facebook page and check us out on Twitter! Possible unofficial BM on tour this Saturday, more to be announced on Social Media. Beyond Monopoly is 11 hours of pure boardgaming fun with incredibly friendly people. 10am-9pm. If you enjoyed Airecon it’s like that but 2 hours shorter and in York with more comfortable chairs (sorry Mark). We’ve got a massive curated boardgames library (~300 games), with a range that cannot be beat. I challenge anybody to not find a game that they want to play. However, even better than that are our wonderful members. They say in London you are never more than 6ft away from a rat, well if you went to Airecon you were never more than 6ft away from a member of BM. In fact, you probably played a game with one of us and didn’t even know it! Chances are you will recognise some of us when you walk in. And no matter what type of game you want to play, someone else there will also want to play it, and probably teach it to you with a smile. And if you didn’t go to Airecon? Well in that case you definitely need to come along, as you’ve got a lot of boardgaming to catch up on. We play at the Bar Convent in York. It’s a beautiful building with big tables, lots of chairs and just perfect for boardgaming. We’re near the train station, a 5 minute walk from the city centre if you park and ride or live nearby, or if you want to park even closer send us a message and I’ll tell you where to park close by for free! Essentially we are easy to get to. When you get here you head down the corridor on your left and you should find 2 large rooms of boardgaming. If you don’t know where to look simply ask at the front desk and they will happily show you where we are. If you arrive after 5pm the door may be closed, in which case ring the bell and someone will let you in and tell you where we are. The Bar Convent does wonderful food, and there’s also eateries just outside on Blossom Street. However, I’m afraid you can’t eat outside food in the Bar Convent (it’s part of our deal with them), but we have free tea, coffee, soft drinks and water. So you’ve arrived (easy) found where we are (easier) well within seconds of entering you’ll probably be approached and asked if you want to join a game. If everyone’s already playing then one of our organisers will probably say hello and explain our club and make sure you’re not left whistling in the wind until a game starts. With a high number of regulars and a range of short-long games we try to make sure nobody is waiting too long. If you come in and do feel at a loss just ask for Mark (that’s me***!) and I’ll come and say hello and introduce you to the club. We pride ourself on being welcoming, so if at all you are ever made to feel unwelcome then please find one of the organisers, but I’m sure that won’t happen. Like I said before we have an extensively excellent collection, but if you’ve got a game you’re itching to play, perhaps a recent purchase from Airecon, then bring that along as well. Finally we finish at 9pm. Usually a number of us then go to the local to have dinner and a chat (and occasionally an impromptu game smuggled from the club), and everyone is welcome to join us. If you loved the open boardgaming at Airecon, or any other con, or just boardgaming in general, or you want a new hobby and have never played a modern boardgame before in your life, then that’s what we do. If you’ve got any questions please ask us here, or facebook, or twitter, or send an email, and we will answer them. You can come on your own (my first visit was on my own and it was so much fun I can’t stay away), or as a group, with or without games. The most important thing is you have fun boardgaming. Also that your first visit is completely free! 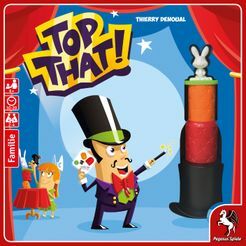 The game which reduced 4 grown men to admitting they couldn’t even stack objects in a children’s game. Ah, the power of conventions. See you this Saturday! *** I was promoting my game Forks at Airecon, so if you saw someone wearing a garish orange t-shirt forcing a leaflet into everyone’s hands that was me. So it’s that wonderful time of the year where all the board game heads converge on Harrogate. Fear not however our regularly scheduled Friday meet from 5-9pm at the Bar Convent will go ahead as usual and we hope to see you there.